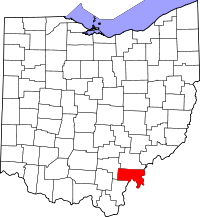 If you are looking for official sources that will aide in your search for vital records from Meigs County, Ohio, there are a few that can be used. The first is the Ohio Office of Vital Statistics. They are a great and reliable source that provides information and direction on how to obtain birth, death and marriage records. To access the Ohio Office of Vital Statistics, click on the following link at http://www.odh.ohio.gov/vitalstatistics/vitalstats.aspx. However, if you are interested in making an online request for vital records, VitalChek http://www.vitalchek.com offers these services. The Meigs County General Health District website also offers valuable information when trying to find out how you can obtain vital records from Meigs County. Click on the link to access their website at http://www.meigscountyhealth.com/index_files/Page435.htm.